Dean reached the confluence of the South Yadkin and the Yadkin River today and came to a place cherished in ways every community along the river could learn from. 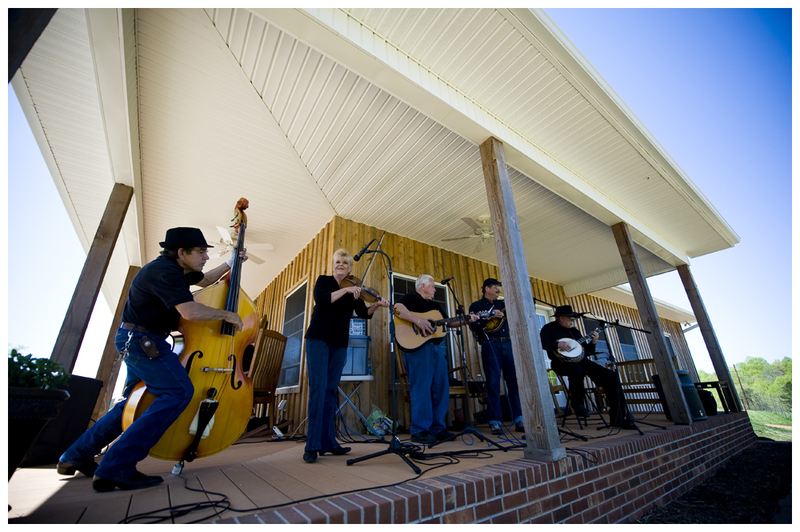 About five miles up the South Yadkin stands the town of Cooleemee – an old mill town with a population of no more than 1,000. Back in 2000 a woman named Lynn Rumley, who heads up the Textile Heritage Center (http://www.textileheritage.org/Cooleemee/cooleemee.htm), helped organize others in Cooleemee to build a park down by the river at a place called Bullhole. Generations of boys — and some girls – learned to swim here. Their fathers fished. Their mothers organized picnics. And just about everyone was baptized here by the flat rocks. “All the local country people – this was a gathering place before Cooleemee was a mill town,” Lynn told me earlier this week. 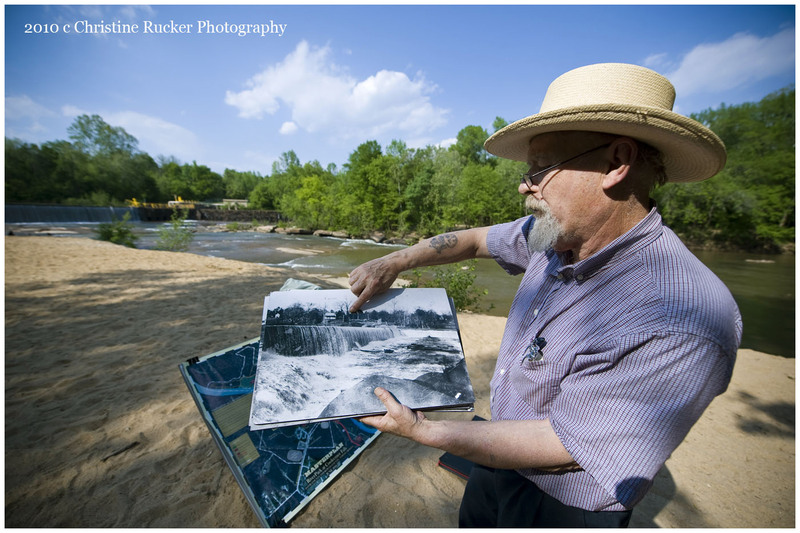 Lynn and others were moved to protect the swimming hole because a small power company, the South Yadkin Power Co., had been given a federal license to use an old textile-mill dam to generate power. 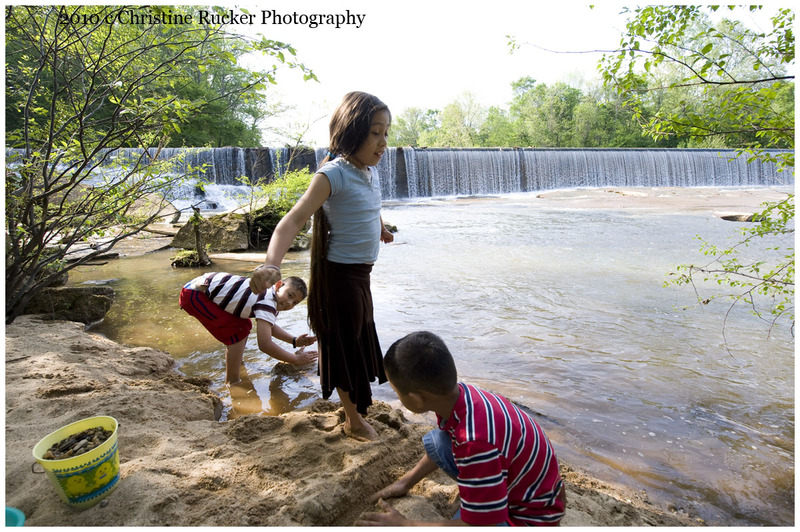 Lynn and others were worried about water levels and access to a swimming hole that was as much a part of Cooleemee’s history – and its soul — as the mill. 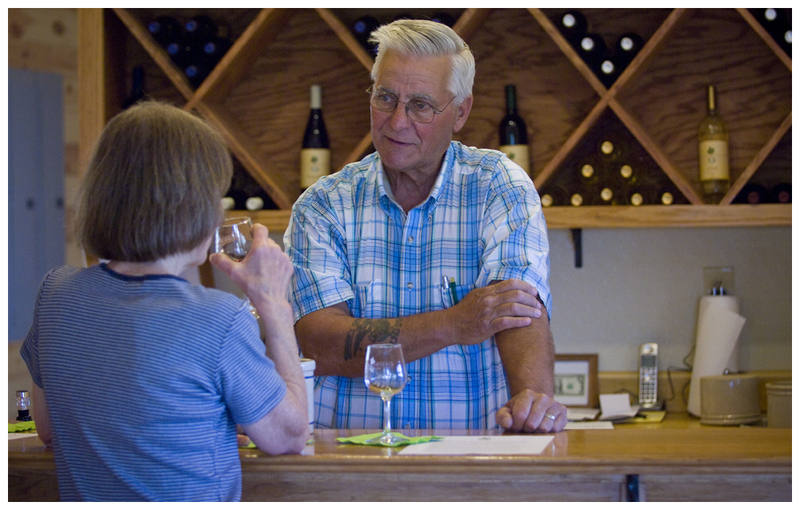 People in town raised more than $1 million to buy 80 acres of land on both sides of the river. The park opened in November 2003. The dispute with the power company over water levels has lasted all these years. It reminds me of the dispute over water levels just a few miles downriver between Alcoa Aluminum and property owners around High Rock Lake and further south between Alcoa and the residents of Stanly County. 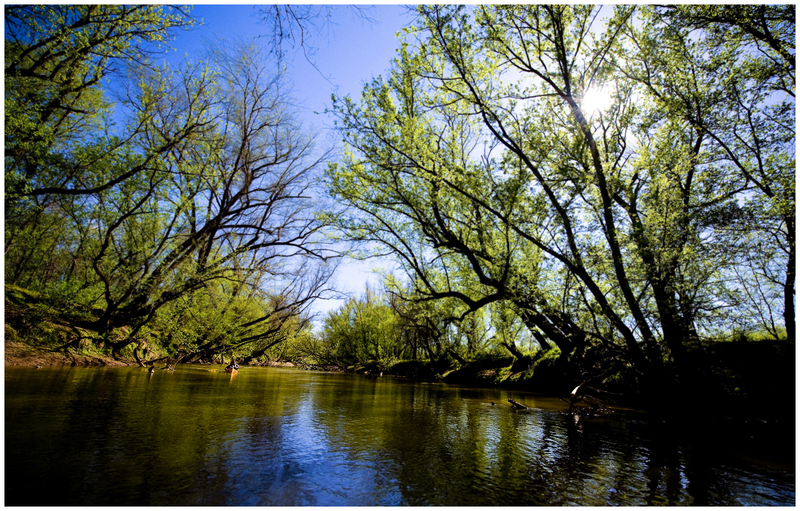 Lynn’s story reminds me too of what people can do when they care about their river. She still worries about the water levels, but come summer RiverPark will be crowded with families and boys and girls who will learn to swim the way Cooleemee children have always learned to swim. Thank you Lynn and happy paddling Dean. Dean heads into troubled water this week as he sets off toward High Rock Lake, the most northern in a series of lakes created by Alcoa Aluminum Co. to generate electricity. 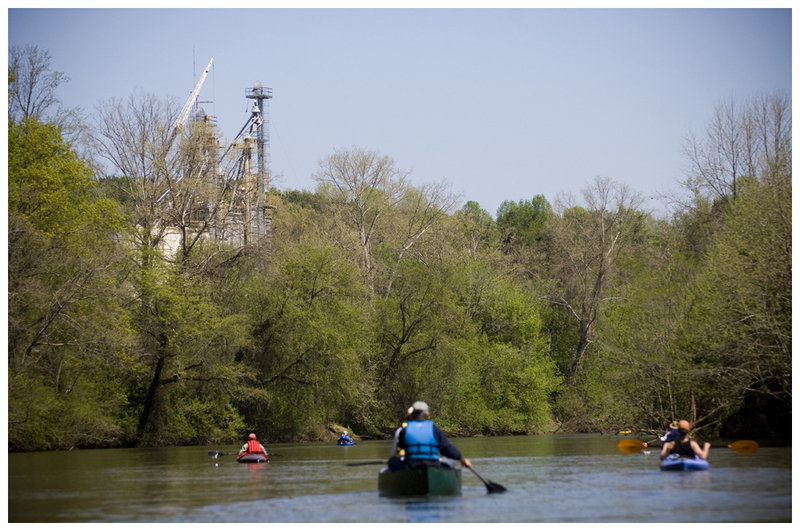 At the turn of the last century, Alcoa built a series of dams on the Yadkin River in an area known as the Narrows to power an aluminum smelter in Badin. The plant closed in 2007, but Alcoa continues to use the river’s power to generate electricity and to sell it on the open grid. 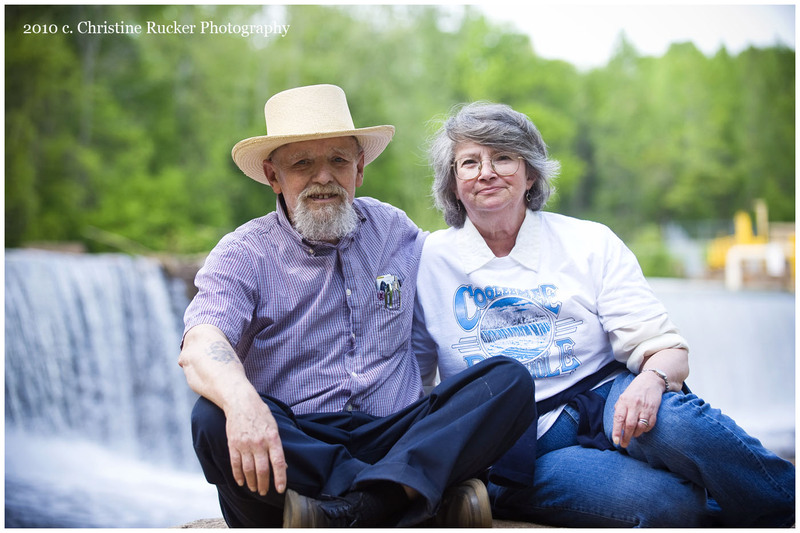 The Riverkeeper and many in Stanly County say that Alcoa left a toxic legacy when it closed the plant, and today the Riverkeeper is leading the fight to block Alcoa from renewing its license to run an electric plant off the river’s power. The pollution is one issue. But there’s a deeper issue on the line as Dean paddles south and that is whether a private company should be able to lease the rights to our water or whether those rights belong to all of us. The courts will in all likelihood end up deciding the legal question, but I know what I believe. Take a walk by river. Look at Christine’s photos. Listen to the water rushing over rocks. I’m sure you will agree: these are our waters and always have been. 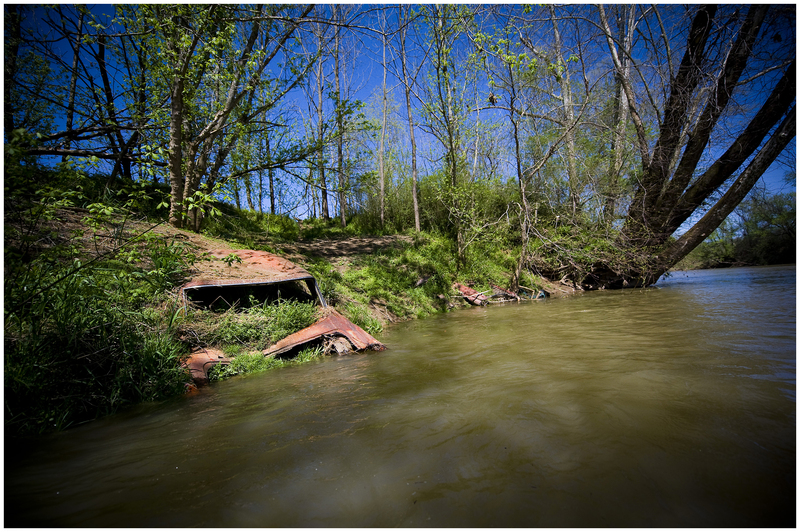 And if you want to imagine what it’s like to live in a place without water, listen to the most recent WFDD 88.5 segment of Currents: Life Along the Yadkin River. Or check out the April issue of National Geographic where you can read about women who spend their days carrying polluted waters from distant rivers back home. It’s a sobering and terrifying issue. 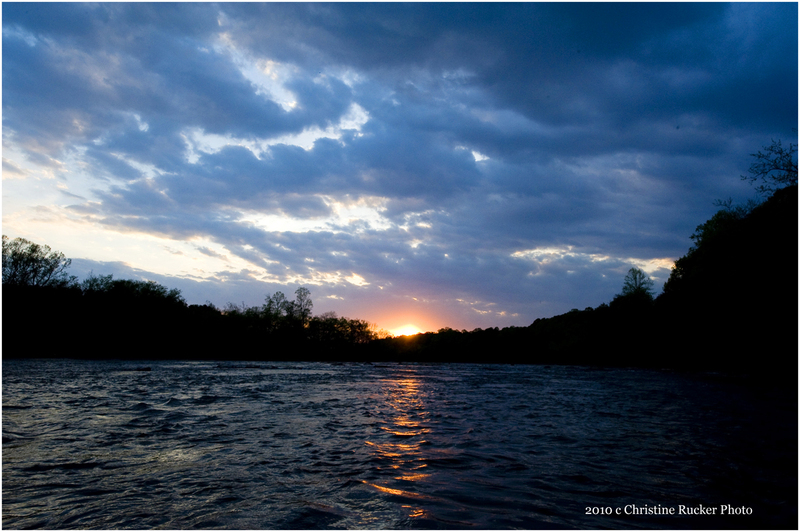 I read every word, and gave thanks for our river. Happy paddling, Dean. We’ll catch up with you again during the week. 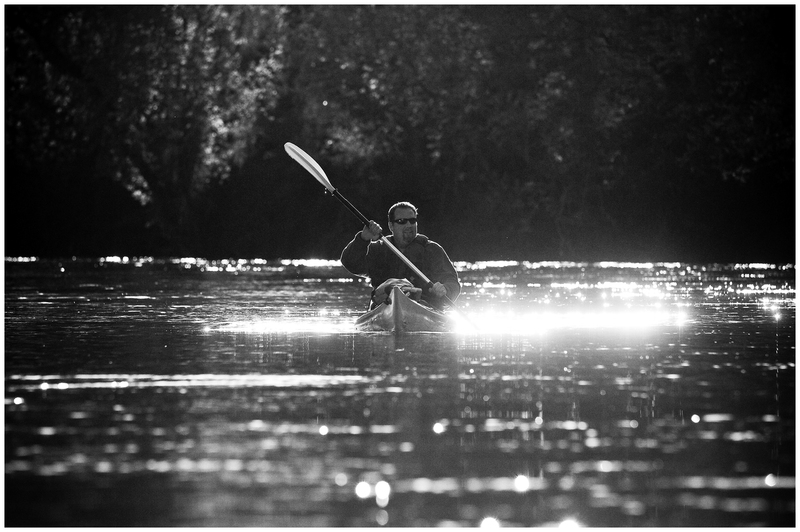 Dean paddled through some of the most pristine sections of water Monday and today; when I caught up with him this evening he said that he was finally settling into the river’s rhythm. 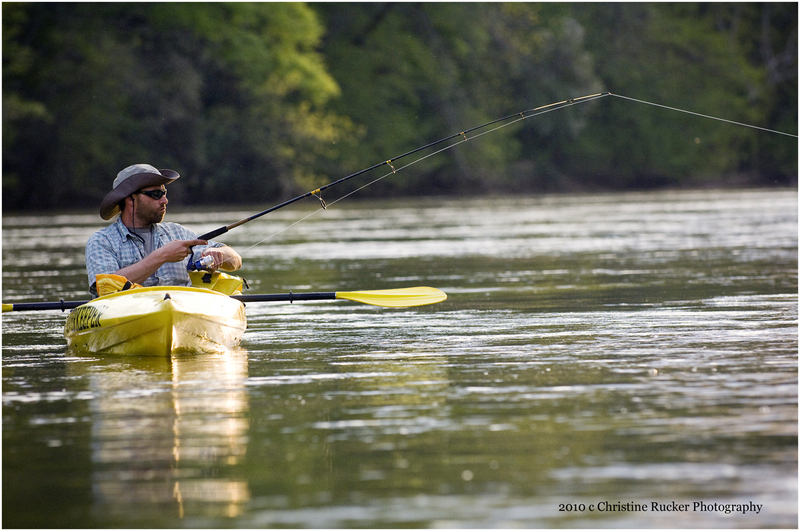 “I’m just getting a better feel for the river,” he told me. 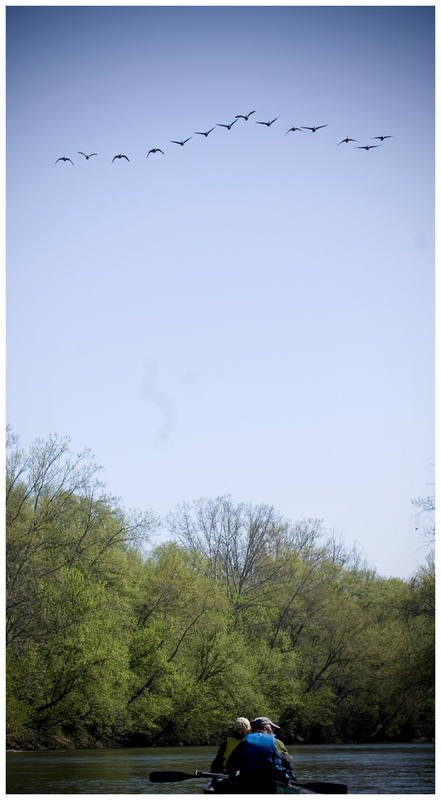 He started Monday at Yadkin Shores at U.S. 601 and paddled to Rockford with Pilot Mountain there on the horizon. Dean’s brother, Kurt, joined him today. They left Rockford and passed Siloam, the scene of tragedy 35 years ago, when the bridge collapsed and four people drowned in the river. You can read and hear about the accident in an earlier post. 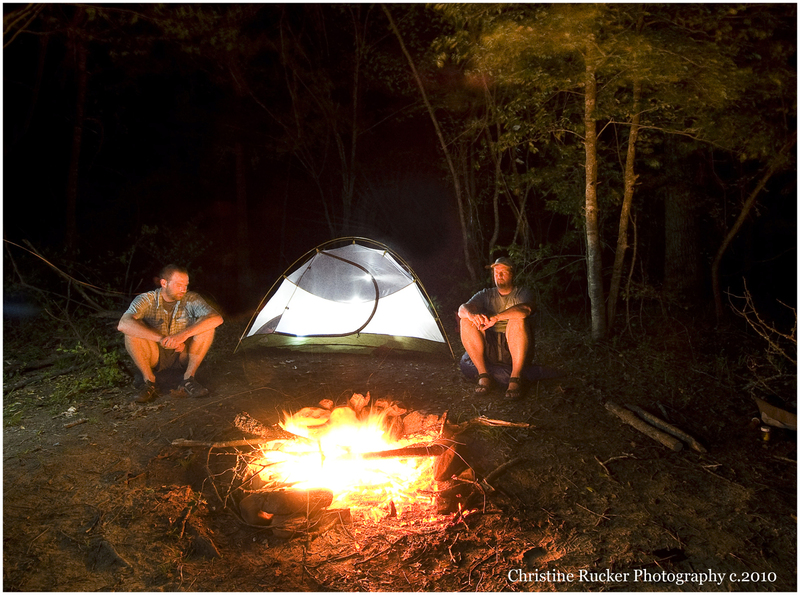 Tonight they planned on camping on one of the islands in the Shoals and set out in the morning for Donnaha, the park featured in today’s WFDD 88.5 broadcast. 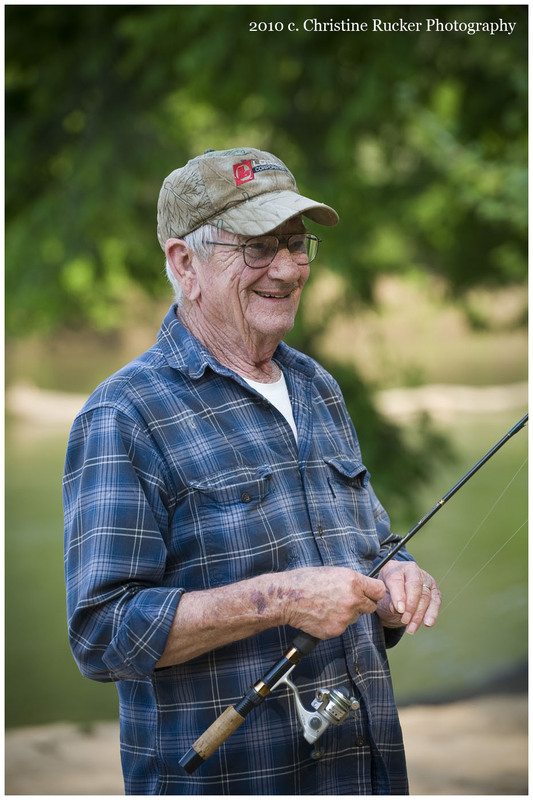 When he and Kurt were growing up in Pennsylvania their father, Harold, took them fishing whenever he could. “Boating was a means to catch fish,” Dean told me. The two brothers hoped to get some fishing in this evening, in some of the best bass waters around. 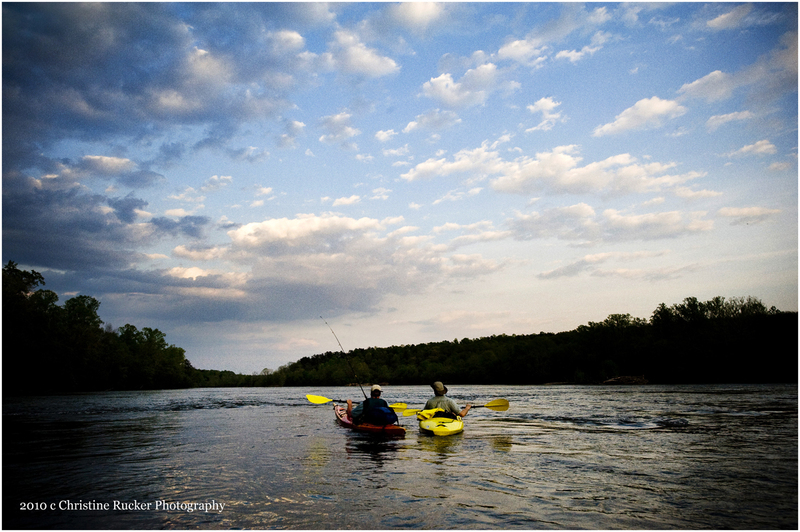 WFDD 88.5 fm has aired a new segment of Currents: Life Along the Yadkin River. 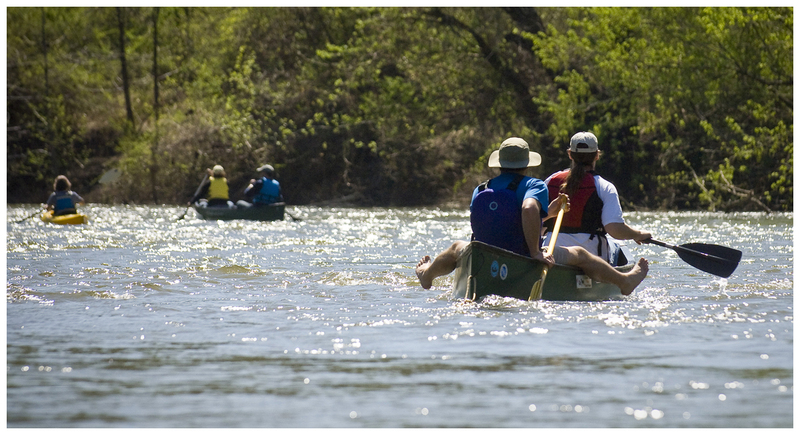 It’s a story about recent immigrants who have discovered and cherish the river. You can listen this evening at 5:30 on All Things Considered or on-line at WFDD’s website. Day Six of Tour De Yadkin and I finally made it to the water. My husband and I met Dean and a dozen other paddlers at Crater Park in Elkin this morning and set off for Yadkin Shores in Boonville 11 mile away. The river was high and fast, the skies clear. 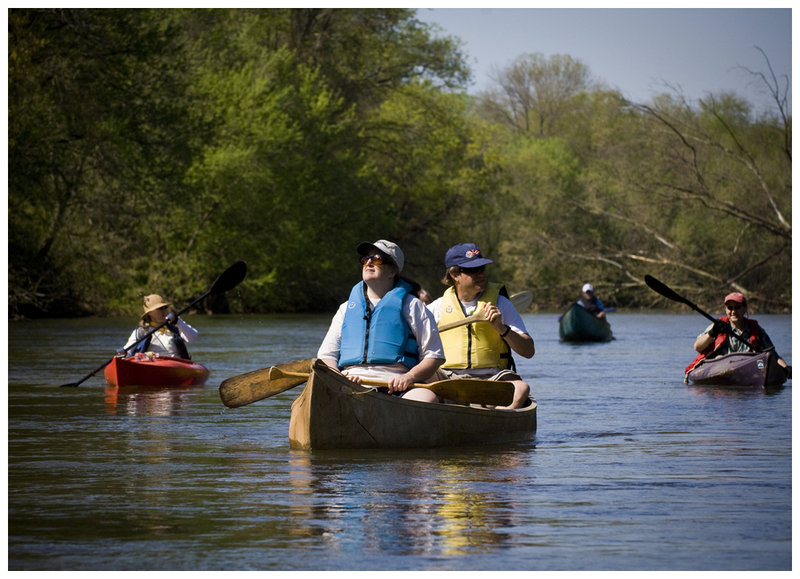 Anita Herrington, one of the founding members of the Yadkin Riverkeeper, was there with her husband, Eric, and a beat-up aluminum canoe. “So here we are on the church of the big water on Sunday morning,” Eric announced, as we set off. I am used to more pristine stretches of the river. Here outside Elkin, the Yadkin is an industrial river, with the railroad tracks running on its northern bank. We passed the sprawling Chatham Mills plant and heard the rumble of feed mills before we ever saw them. Just beyond the textile plant, near a power substation and the railroad tracks, lies the site for the proposed Fibrowatt incinerator, which will generate electricity by burning poultry waste (a polite term for urine soaked sawdust collected from the valley’s many poultry houses). 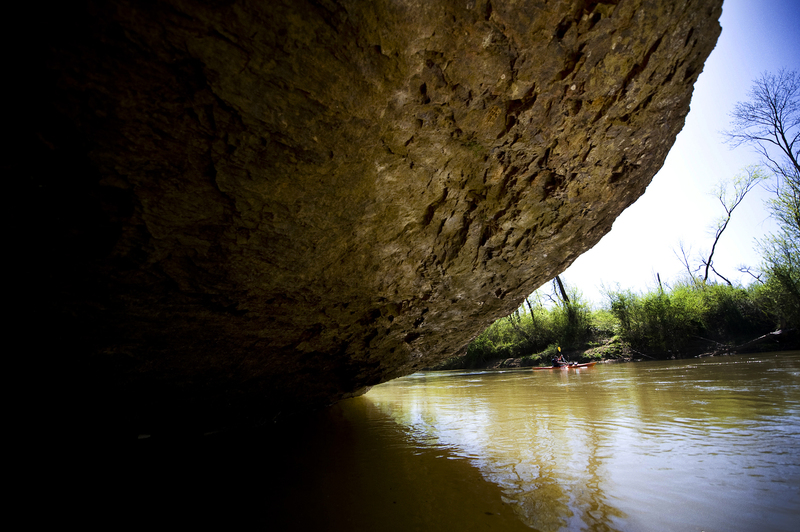 The industrial stretch ended at the Mitchell and the afternoon paddle on down to U.S. 601 was filled with the sounds of nature. There’s lots to think about on the river on an afternoon. There’s our arrogance in building factories at the water’s edge. And politics. And the changing economy. Then an osprey dives and comes up with a fish. A blue heron arches his neck. A king fisher darts among the trees. A cormorant rests on a branch. A flock of geese cry out. Happy paddling Dean. We’ll catch up with you again tomorrow. Dean met up with anther river steward and guide today for Day 5 of the Tour De Yadkin. 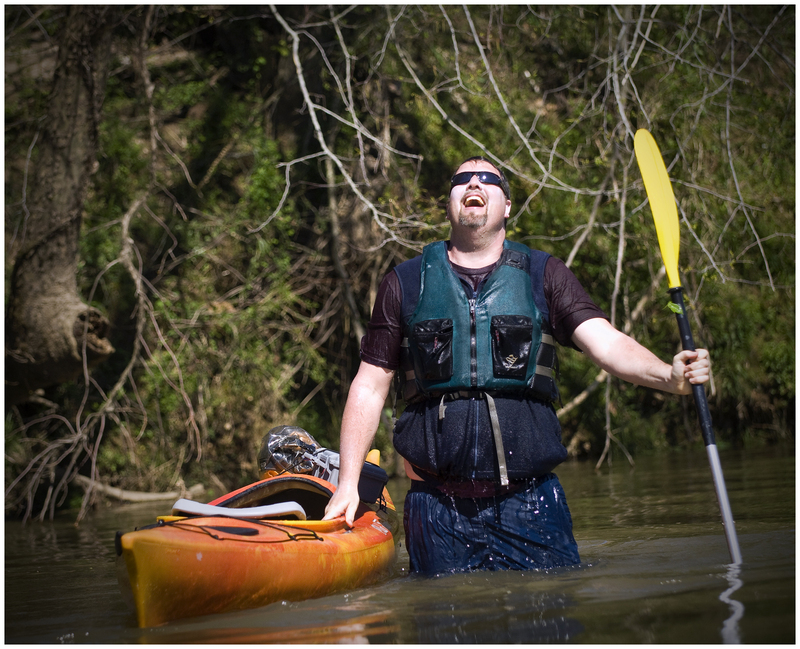 Johnnie Alexander, who runs Roaring River Canoe Rentals in Wilkes County, joined him for the seven-mile paddle from Ronda to Elkin and along the way told him how he’s been monitoring discharges and trying to raise awareness about a river he loves. Several families joined them for the trip and when they reached Crater Park in Elkin about 25 people were there with a potluck afternoon picnic. A perfect day on the water. Elkin is a key stop for Dean in his campaign to protect the river because of an incinerator planned by a company called Fibrowatt just outside of town that will generate electricity by burning chicken waste. Dean said he hopes more with join him Sunday as he heads into these threatened waters. Happy paddling Dean. We’ll catch up with you again on Sunday. With the rains so heavy Thursday night, I woke yesterday wondering how fast the river would be. Maybe even a little worried. One glance out our window this morning in Yadkin County, the river was dark brown and high. But farther north, in Wilkes County, the water was swift, but not too bad and the color more of a green. Dean and I were glad that we waited until later in the day to put in. The winds had died off a little and the air warmer. We started at Smoot Park in Wilkesboro headed to Ronda. Neither of us familiar with that section, we did not know what to expect. Right after push off we encountered a really fast section that moved under hwy. 18 bridge. I spotted a hawk that guided us farther down river before it circled off; probably looking for lunch. We came across a huge rock outcropping, which we had to stop and explore. The trip got a little wet here for Dean.. after circling up river a couple times for some “photo ops” , a cross current caught Dean off guard and spilled him out of his boat. Dean says this was his favorite stretch so far, the islands we navigated around were beautiful and narrow. As the sun softened into the late afternoon, we found ourselves hugging a few more rock outcrops that buffered some beautiful hardwood forests. Dean said it felt a little like paddling in the mountains. One interesting site for me was an older model car buried in the bank. Dean said this was “old school”- how some people used to dispose of unwanted cars. Closer to Ronda, we paddled through what smelled like animal run-off and sewage with a faint odor of chemicals; which was a little disconcerting for Dean. But overall, it was a wonderful day to be on the water.